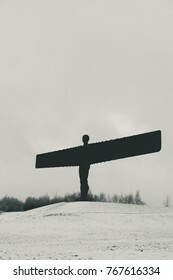 Newcastle/Gateshead based photographer, shoot a little of everything, but mainly portrait, landscape and editorial. 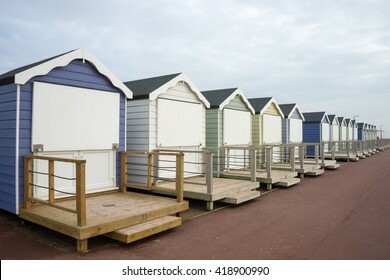 1,236 stock photos, vectors, and illustrations are available royalty-free. NEWCASTLE, ENGLAND - DECEMBER 29 2016: Gateshead Millennium Bridge with the Baltic Centre for Contemporary Art. 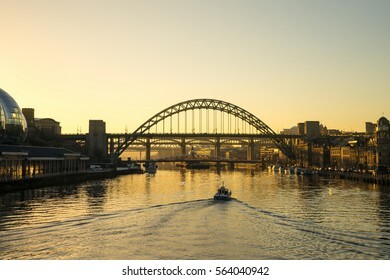 The bridge spans the River Tyne in north east England. 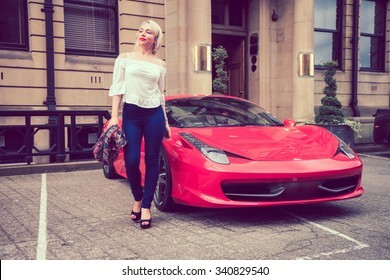 Beautiful female woman with blonde hair, and red lipstick, walking with attitude from a beautiful red coloured sports car. 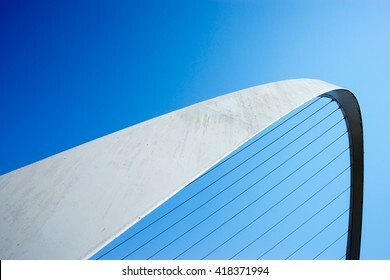 Abstract take on Gateshead Millennium Bridge. 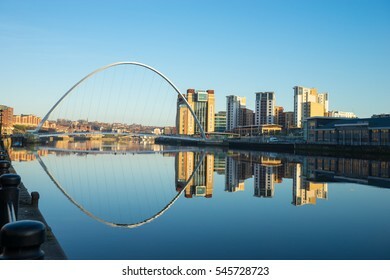 The bridge spans the River Tyne in north east England. 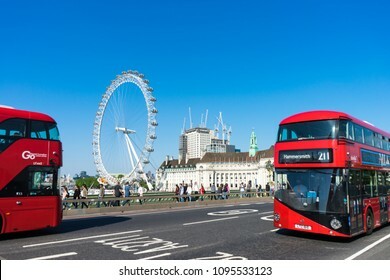 London, UK - May, 21st 2018: Red bus crosses Westminster Bridge, the London Eye in the background. Tourists cross the bridge. The sky is blue. 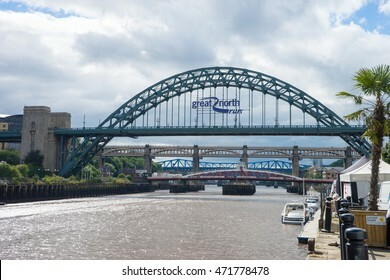 NEWCASTLE, ENGLAND - AUGUST 24: Tyne Bridge, Newcastle/Gateshead. A bridge that crosses the Tyne, taken on August 24th, 2016 at Newcastle, England. 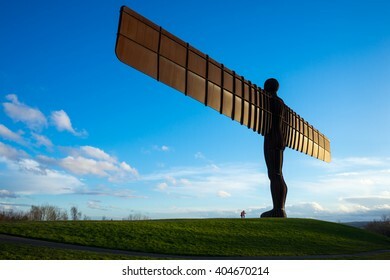 Great North Run ad is on Tyne Bridge. GATESHEAD, UK - MARCH 27, 2016. 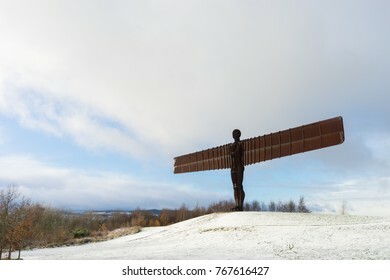 The Angel of the North, Gateshead. 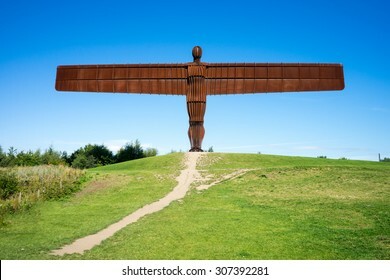 A steel sculpture by Antony Gormley, stands 66 feet high with a wing span of 177 feet. The sky is blue. 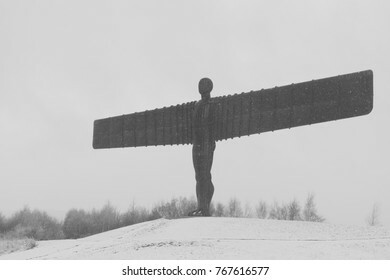 GATESHEAD, UK - NOVEMBER 30, 2017. 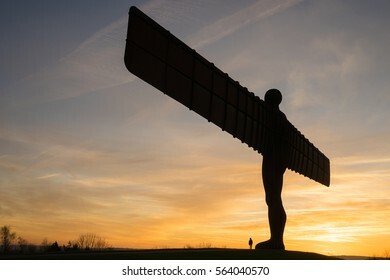 The Angel of the North, Gateshead. 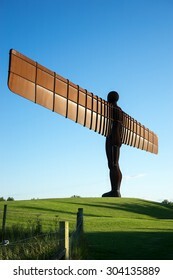 A steel sculpture by Antony Gormley, stands 66 feet high with a wing span of 177 feet. 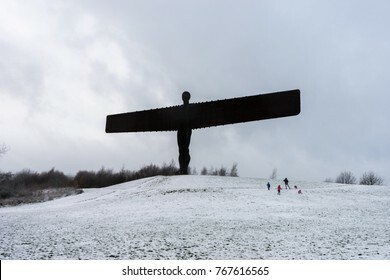 The ground is covered in snow. 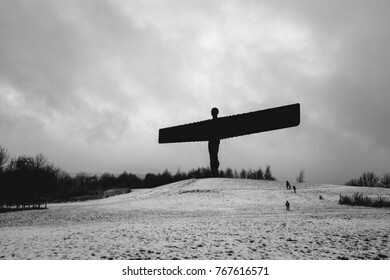 GATESHEAD, UK - JANUARY 5th, 2017. 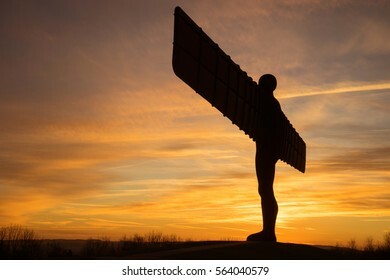 The Angel of the North, Gateshead. 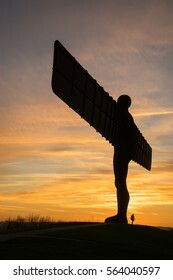 A steel sculpture by Antony Gormley, stands 66 feet high with a wing span of 177 feet. The sky is blue. 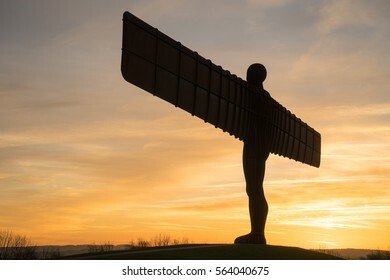 NEWCASTLE, UK, SEPTEMBER 15TH 2015. 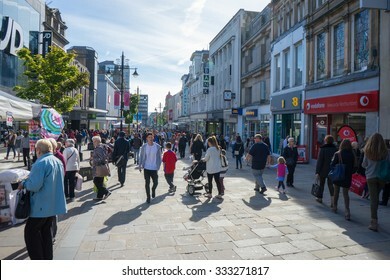 Northumberland Street, a major high street in the centre of Newcastle upon Tyne, North East of England. 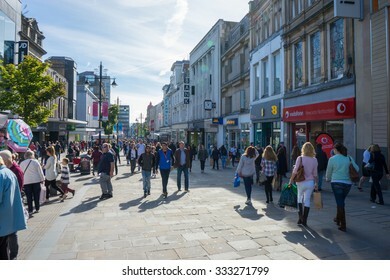 Most expensive location in UK outside of London to own shop. NEWCASTLE, ENGLAND - DECEMBER 29 2016: Tyne Bridge, Newcastle/Gateshead. 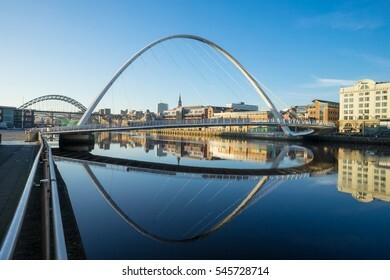 A bridge that crosses the Tyne, taken in Newcastle, England. Reflection captured in the water. 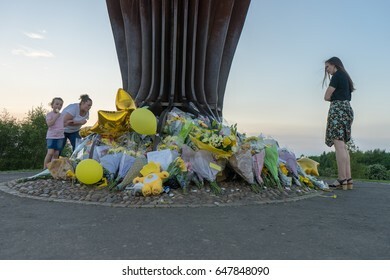 GATESHEAD, UK - AUGUST 13, 2015. 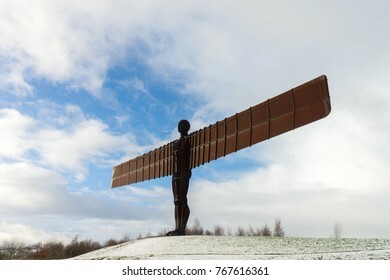 The Angel of the North, Gateshead. 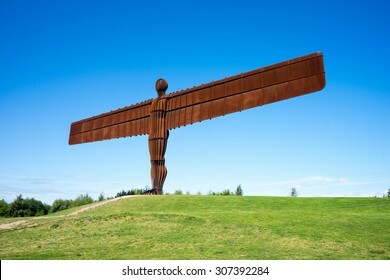 A steel sculpture by Antony Gormley, stands 66 feet high with a wing span of 177 feet. 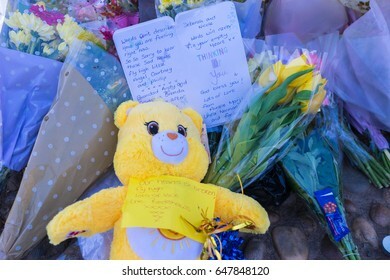 The sky is blue, the Angel isolated. 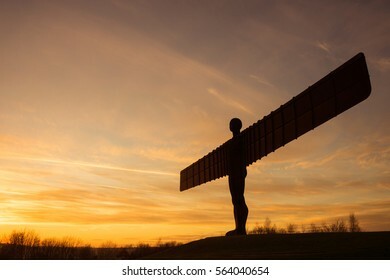 GATESHEAD, UK, AUGUST 13th 2015. 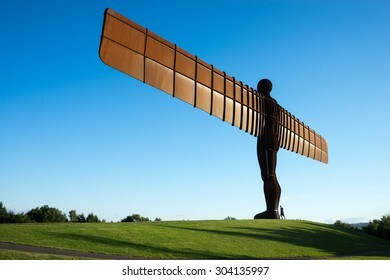 The Angel of the North, Gateshead, is a steel sculpture by Antony Gormley which stands 66 feet high with a wing span of 177 feet. The sky is blue. NEWCASTLE, ENGLAND - DECEMBER 29 2016: Tyne Bridge, Newcastle/Gateshead. 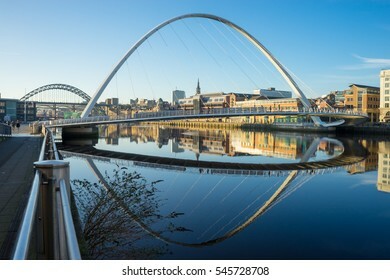 A bridge that crosses the Tyne. 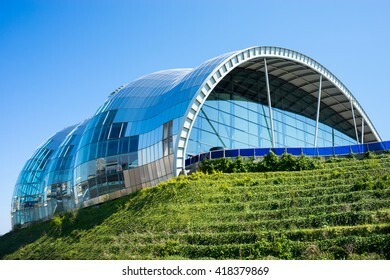 Sage Gateshead is in shot. 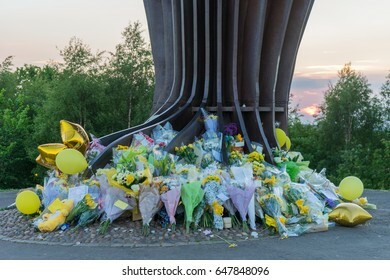 Taken a sunset with a yellow sky. 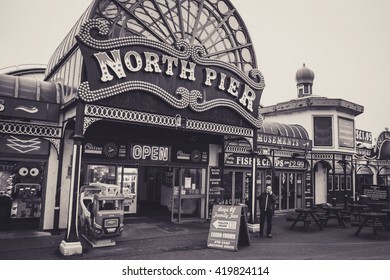 BLACKPOOL, UK - NOVEMBER 4, 2015: Entrance to North Pier, Blackpool. 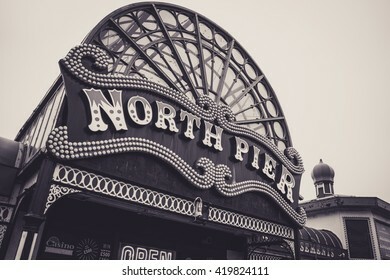 BLACKPOOL, UK - NOVEMBER 3, 2015: Entrance to North Pier, Blackpool. 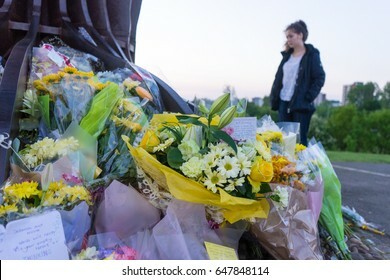 A man is stood outside on his phone. 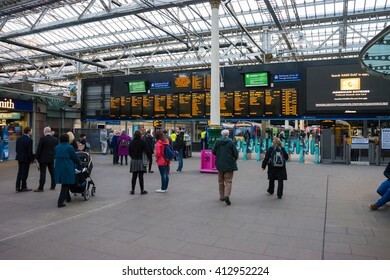 EDINBURGH, SCOTLAND - 20 APRIL 2016 - Edinburgh Waverley railway station. Market Street Entrance. The sign is isolated. 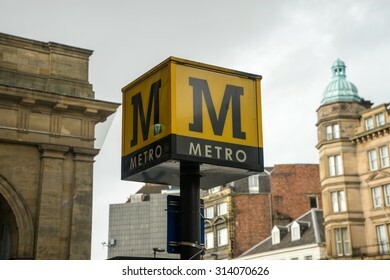 Metro sign on top of a post, in a street, The weather is dreay and bleak. 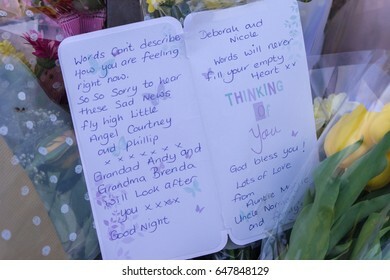 GATESHEAD, UK - 26TH MAY 2017: Tribute note left at the feet of the Angel of the North in memory of Courtney Boyle, and step dad Philip Tron, who died in the Manchester terror attack. 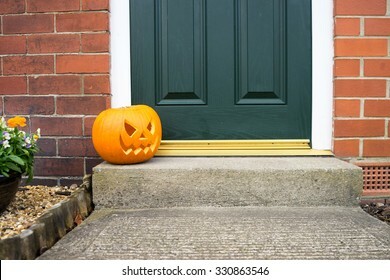 Carved pumpkin on a doorstep, isolated. 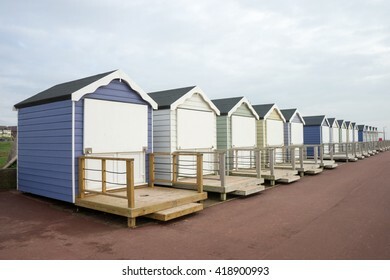 Closed up beach huts at Lytham St Annes. The weather is overcast, with only hints of blue in the sky. 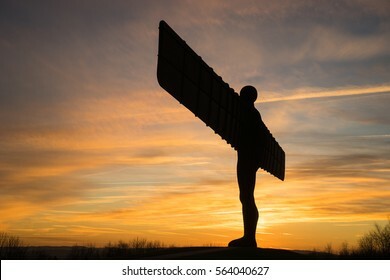 GATESHEAD, UK - AUGUST 6TH. 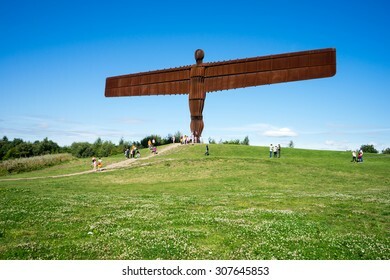 The Angel of the North steel sculpture by Antony Gormley stands 66 feet high with a wing span of 177 feet, on August 6th at Gateshead, Tyne & Wear, England, UK. 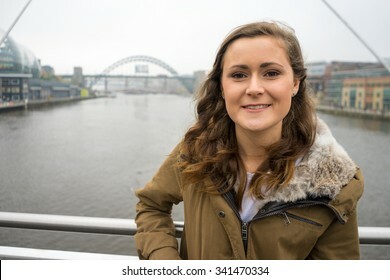 Beautiful young woman leaning on the railings of the High Level Bridge, Newcastle Upon Tyne, staring out at the River Tyne. 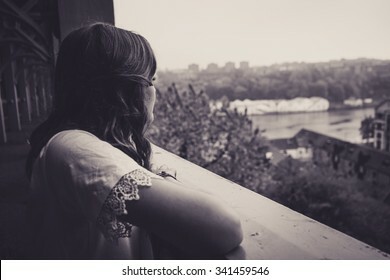 In black and white, giving the image a dreamy look. 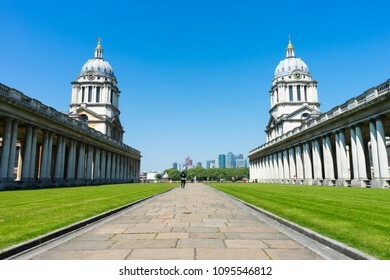 London, Greenwich, UK - May 15th, 2018: University of Greenwich famous towers, taken from Pepys walk. The sky is blue. 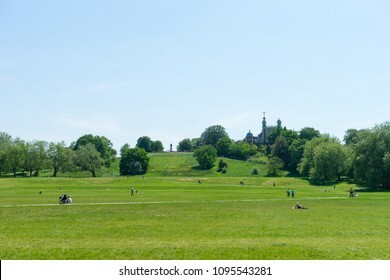 London, Greenwich, UK - May 15th, 2018: The meadow in front of Greenwich Observatory. 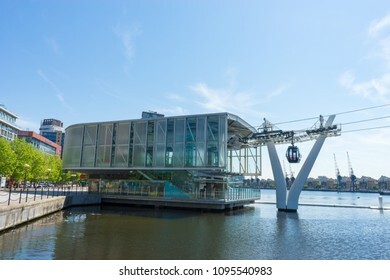 People are relaxing on it, taking advanage of the blue sky. 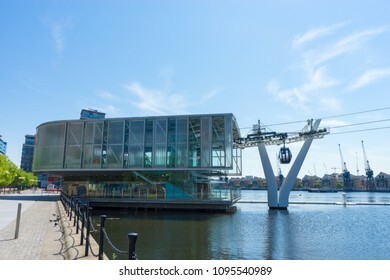 London, Greenwich, UK - May 15th, 2018: Thames Cable Car, Greenwich, southern side station. 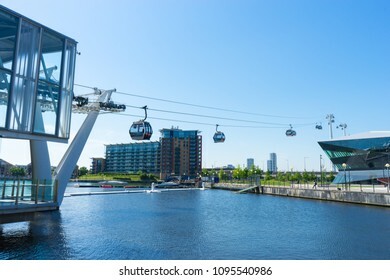 The sky is blue, also known as Emirates Air Line. 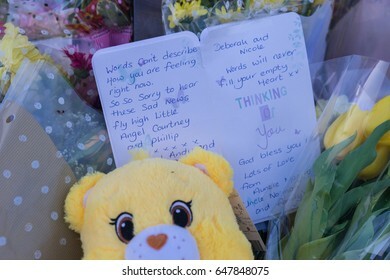 London, UK - May 15th, 2018: Trafalgar Square on a sunny day. 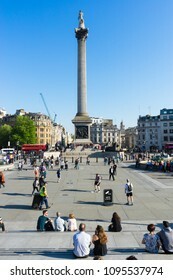 People relaxing, two people sat on the steps looking at the monument. The sky is blue. 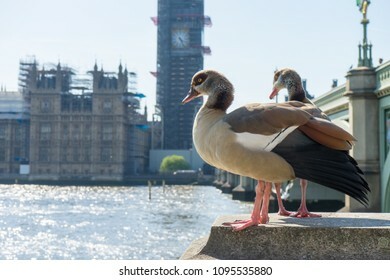 Two ducks stood on a perch looking down at the River Thames with Westminster Bridge and Big Ben in the background. 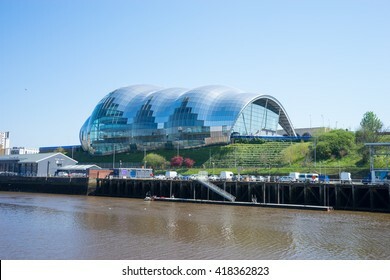 NEWCASTLE, ENGLAND - AUGUST 6, 2015: Sage Gateshead, a concert hall on Newcastle/Gateshead Quayside. For musical education, performance and conferences. 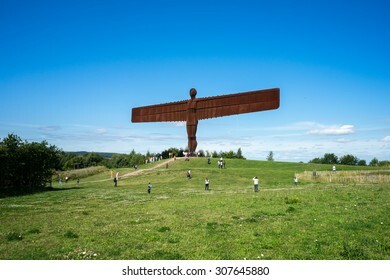 Located on the south bank of the River Tyne. Portrait of a muscular man in a studio. He is very lean and muscular, his abs very defined. Fade has been used to make the image more atmospheric in feel. 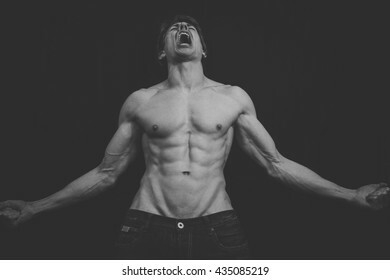 He is portraying uncontrollable anger. Head and shoulders shot of beautiful young woman in a winter jacket, with brown hair and brown eyes. She smiling, and stood on Gateshead Millenium Bridge, Tyne Bridge and Sage Gateshead behind her. NEWCASTLE, UK, SEPTEMBER 15th, 2015. 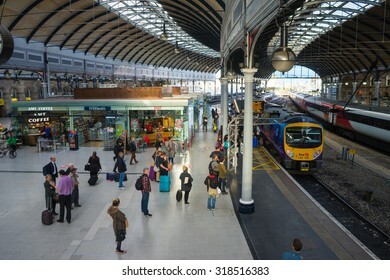 People waiting to board a train at the main platform of Newcastle Central Station. 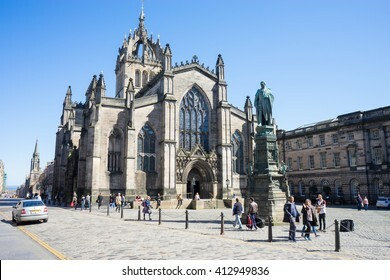 EDINBURGH, SCOTLAND - 20 ARPIL 2016: The High Kirk of Edinburgh, also known as the St Giles' Cathedral, is the principal place of worship of the Church of Scotland in Edinburgh. 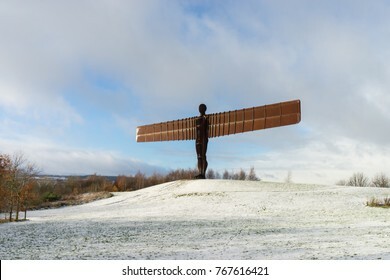 GATESHEAD, UK - NOVEMBER 30th, 2016. 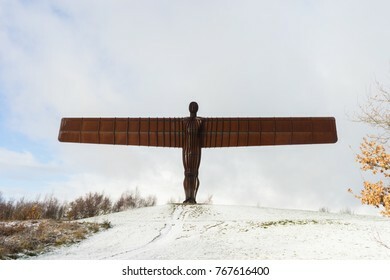 The Angel of the North, Gateshead. 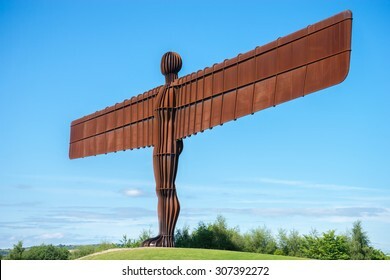 A steel sculpture by Antony Gormley, stands 66 feet high with a wing span of 177 feet. 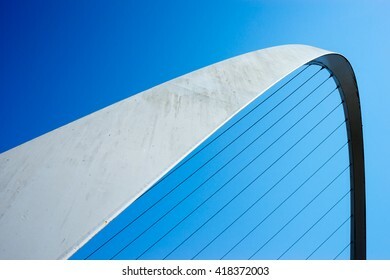 The sky is blue. 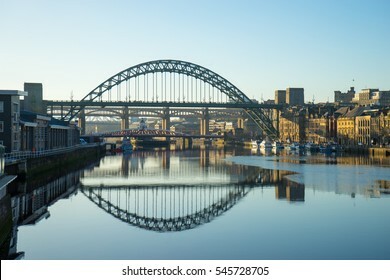 NEWCASTLE, ENGLAND - AUGUST 6: Tyne Bridge, Newcastle/Gateshead. A bridge that crosses the Tyne, taken on August 6th, 2015 at Newcastle, England. 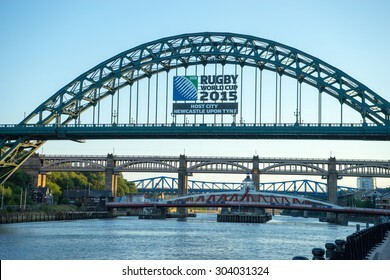 Rugby World Cup 2015 ad is on Tyne Bridge. 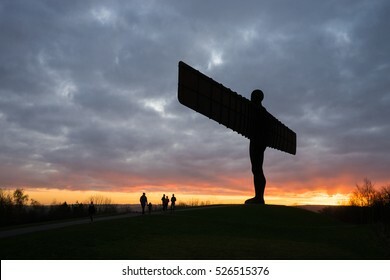 NEWCASTLE, UK, SEPTEMBER 12TH, 2015. 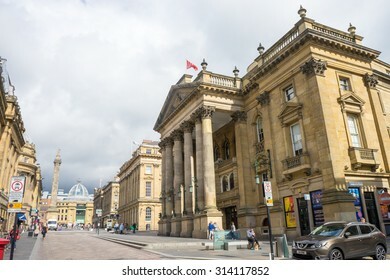 Theatre Royal, Newcastle. 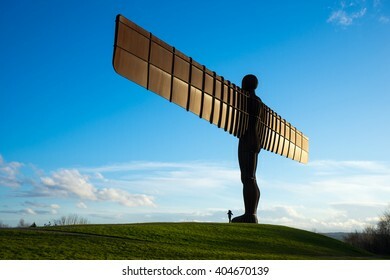 Also known as Newcastle Theatre Royal. 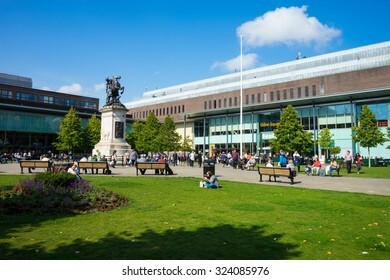 The main theatre in city centre of Newcastle Upon Tyne. Grey's Monument in the distance. 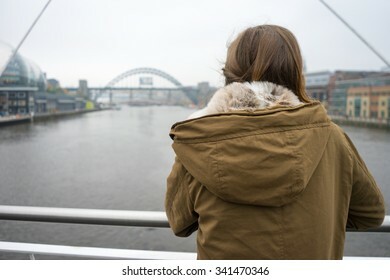 Beautiful young woman in a winter jacket, with brown hair and brown eyes, leaning on the railings of Gateshead Millenium Bridge, looking away. Tyne Bridge and Sage Gateshead behind her. NEWCASTLE, UK, SEPTEMBER 15TH, 2015. 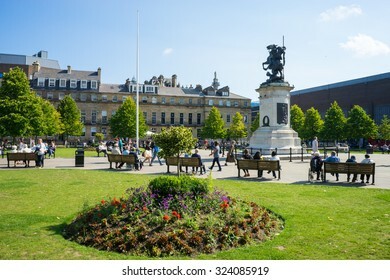 Old Eldon Square, public square on Blackett Street, Newcastle Upon Tyne. 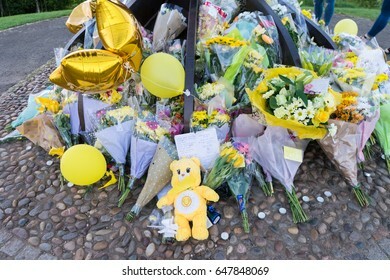 A war memorial is centre piece. The city's Remembrance Day commemoration is held here. 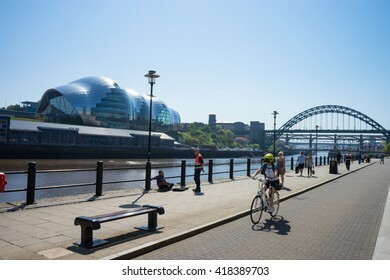 NEWCASTLE, ENGLAND - AUGUST 21: Tyne Bridge, Newcastle/Gateshead. A bridge that crosses the Tyne, taken on August 21th, 2016 at Newcastle, England. 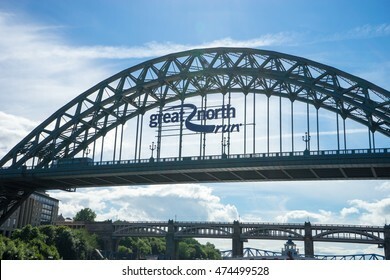 Great North Run ad is on Tyne Bridge. NEWCASTLE, UK, SEPTEMBER 15th, 2015. 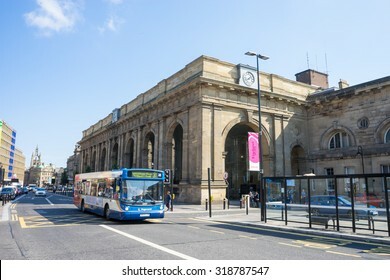 A train entering Newcastle Central Station, the main transportation hub of Newcastle. The area it is entering from is unlit, so the lighting is a true depiction. NEWCASTLE, UK, SEPTEMBER 12TH, 2015. 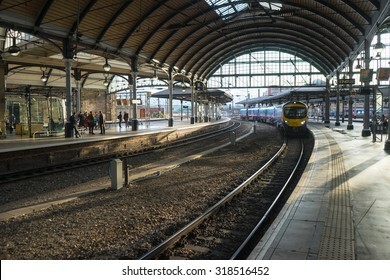 Newcastle Central Station, the main train hub for Newcastle Upon Tyne. 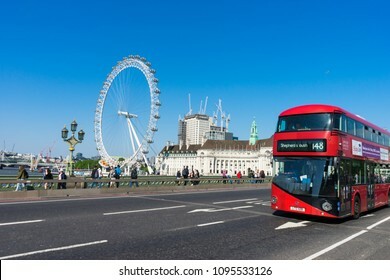 A Stagecoach bus is approaching the bus stop. NEWCASTLE, UK, SEPTEMBER 12th, 2015. 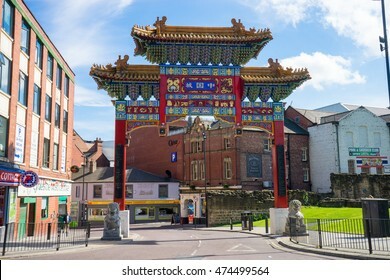 Grainger Street, Newcastle Upon Tyne. 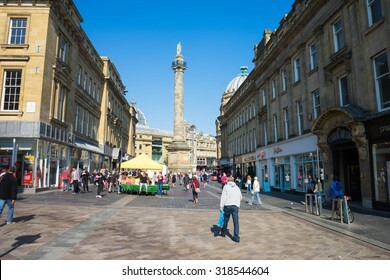 Grey's Monument is in the background. Grainger market is set up, and the market stalls are busy. 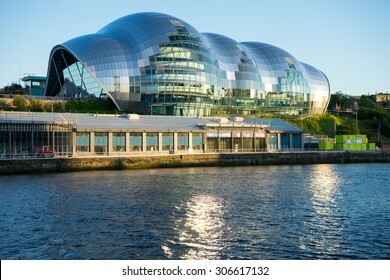 NEWCASTLE, ENGLAND - AUGUST 24th 2016: Sage Gateshead, a concert hall on Newcastle/Gateshead Quayside. For musical education, performance and conferences. 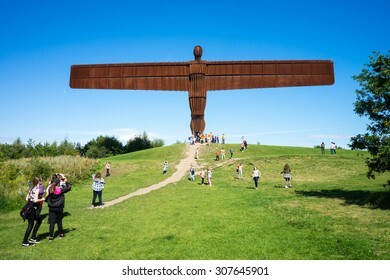 Located on the south bank of the River Tyne. 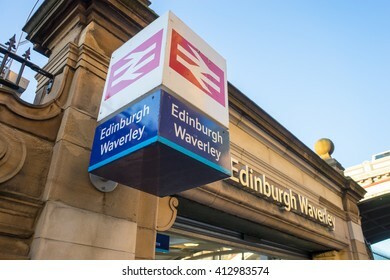 EDINBURGH, SCOTLAND - 20 APRIL 2016: Edinburgh Waverley railway station. People are moving through the turnstiles. 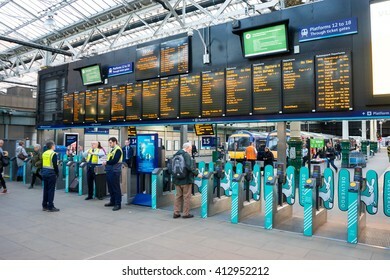 The time table is also in shot. 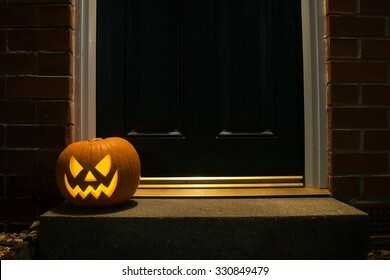 Carved pumpkin on a doorstep at night. 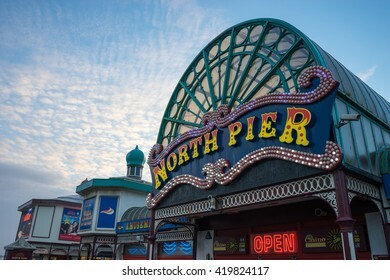 BLACKPOOL, UK - NOVEMBER 3, 2015: Entrance to North Pier, Blackpool. 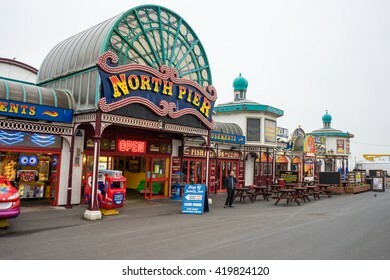 BLACKPOOL, UK - NOVEMBER 4, 2015: Stanley Park, Blackpool. 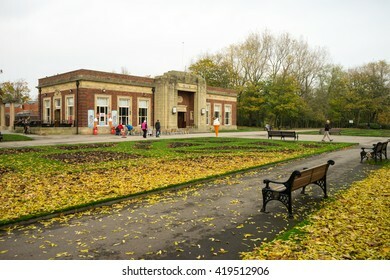 Parks Art Deco Cafe is in shot. 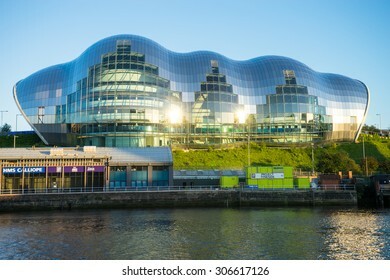 NEWCASTLE, ENGLAND - MAY 9th 2016: Sage Gateshead, a concert hall on Newcastle/Gateshead Quayside. For musical education, performance and conferences. 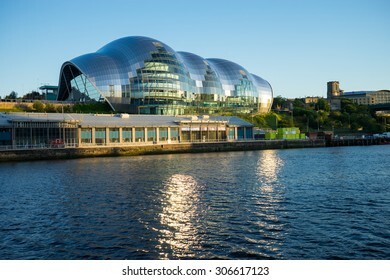 Located on the south bank of the River Tyne. 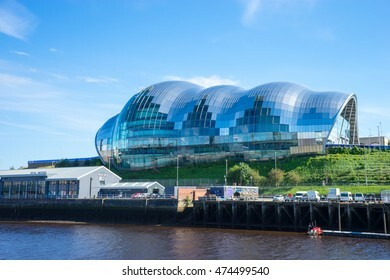 NEWCASTLE, ENGLAND - MAY 9, 2015: Sage Gateshead, a concert hall on Newcastle/Gateshead Quayside. For musical education, performance and conferences. 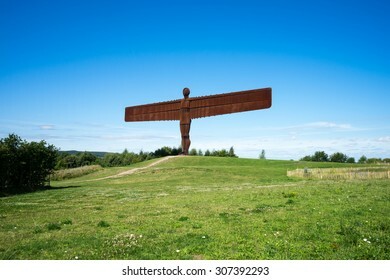 Located on the south bank of the River Tyne. 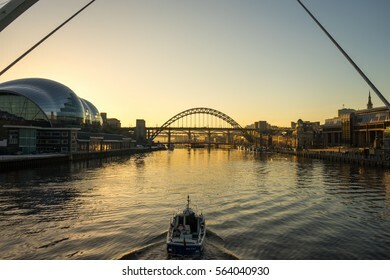 NEWCASTLE, ENGLAND - MAY 9, 2016: Newcastle Quayside. People are making their way along the quayside. 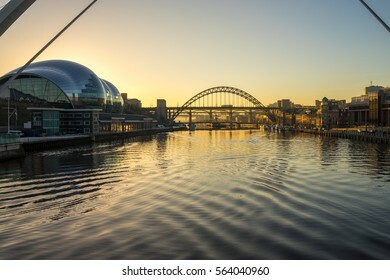 Tyne Bridge, River Tyne and Sage Gateshead are in shot. A cyclist is riding along the bus lane. 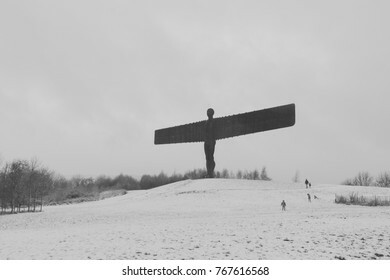 NEWCASTLE, UK, SEPTEMBER 2nd, 2015. 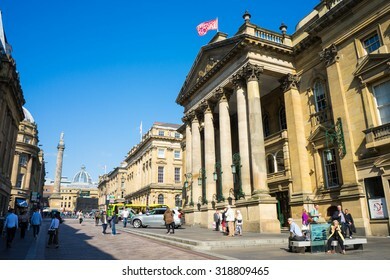 Theatre Royal, Newcastle, with Monument in the distance. NEWCASTLE, UK, SEPTEMBER 15TH, 2015. 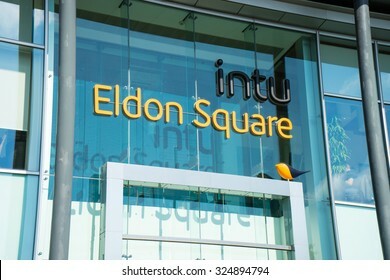 Sign at back entrance to Intu Eldon Square Shopping Centre, aka entrance from the grass square, also known as Old Eldon Square. 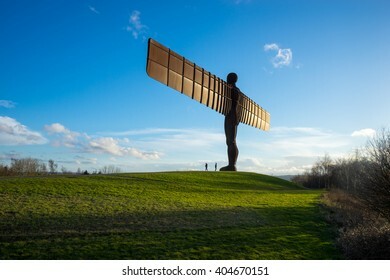 Located in Newcastle Upon Tyne. 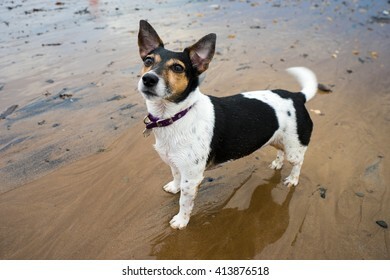 Portrait of a female Jack Russell Terrier posing on the beach. 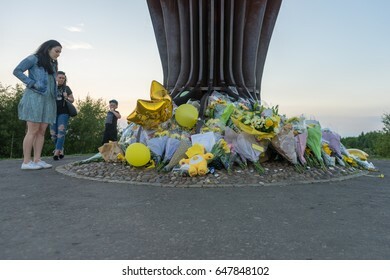 GATESHEAD, UK - 26TH MAY 2017: Flowers laid upon the feet of the Angel of the North in memory of Courtney Boyle, and step dad Philip Tron, who died in the Manchester terror attack. EDINBURGH, SCOTLAND - 20 APRIL 2016: The Dugald Stewart Monument, memorial to Scottish philosopher Dugald Stewart. 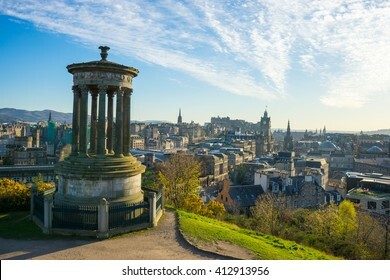 Situated on Calton Hill overlooking Edinburgh city centre. NEWCASTLE, UK, SEPTEMBER 2015. 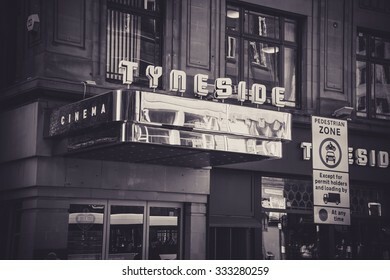 Portico sign above entrace of the old Tyneside Cinema in Newcastle Upon Tyne. Theatre house and cinema. 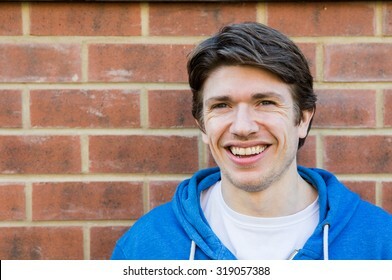 Head and shoulders shot of a young man, 25-30, stood against a brick wall. He has blue eyes, and brown hair, styled in a parting. 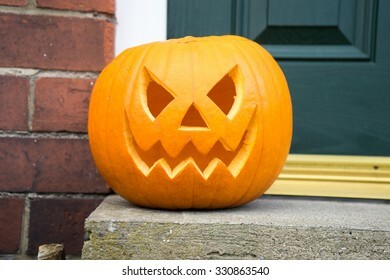 He is smiling.